When PrettyLittleThing launches a new collection, they go all out. 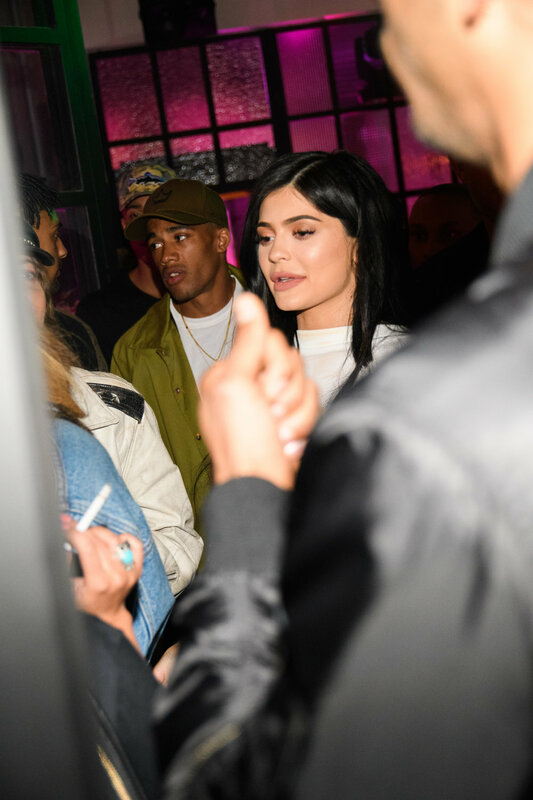 Kylie Jenner and Travis Scott helped celebrate the newest PLT product line in collaboration with Stassie at a celeb filled launch party at The Phoenix LA. 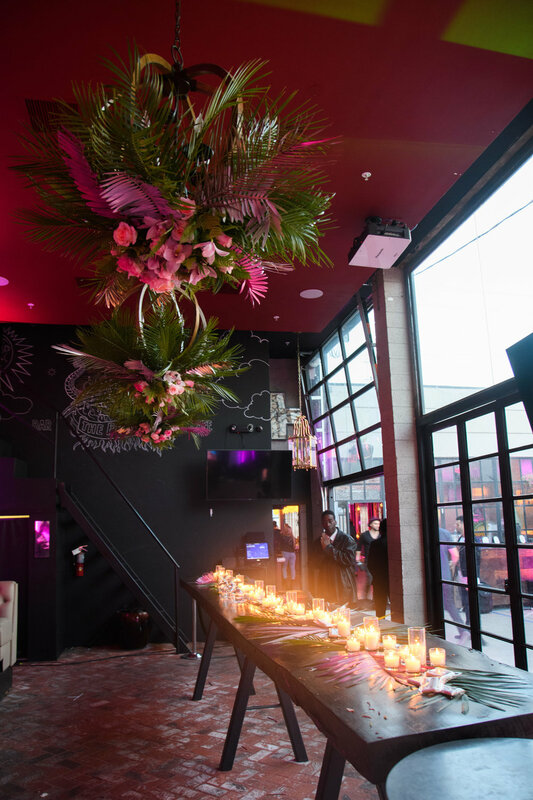 The exclusive, invite only, bash was held at the uber trendy hot spot, The Phoenix in Los Angeles. Guests enjoyed an array of desserts from Auntie Apple, fine wine, and cocktails like the Paloma, Paper Plane, and Lychee Martinis. The highlights of the evening, aside from introducing the new collection in a private gifting suite, were the arrival of Stassie's longtime friend, Kylie Jenner, and an energy packed performance by Travis Scott. DJ Casanova was back to entertain the guests in this custom PrettyLittleThing pink lit DJ booth. Our partner, The Happen Booth, created a space in the main party area for guests to make memories in the photobooth. Female guests were treated to a fabulous gifting suite where they could make personalized selections from the Shape x Stassie line. PrettyLittleThing jackets were created for the event and gifted to those in attendance. Guess walked the carpet adorned with pink tropical palm fronds and larger than life size posters of Stassie. Stassie looked stunning in a form fitting strapless dress. Stassie and founder, Umar Kamani, meet on the carpet with a pretty pink step and repeat. Stassie gives rumored boyfriend, Sam Wilkes, a smooch. American actress and singer, Madison Beer and Stassie share a laugh while walking the carpet. 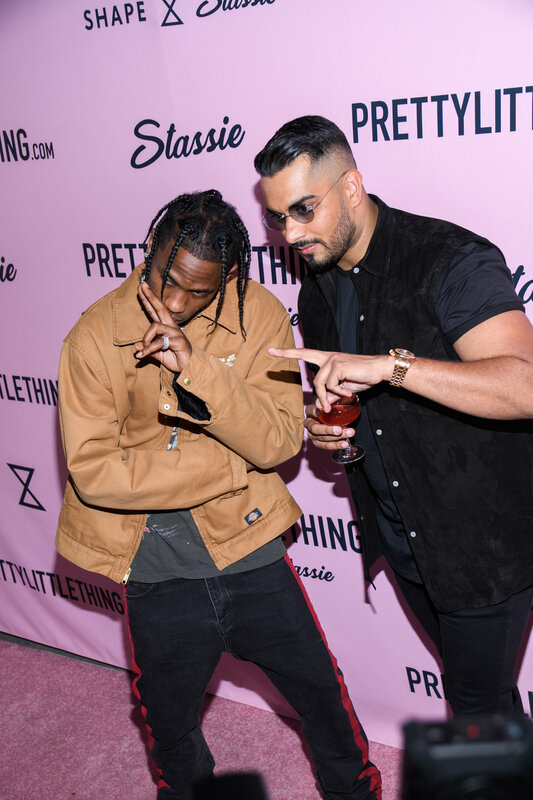 PLT founder, Umar Kamani, clowns with Travis Scott. Kylie arrives in bright purple thigh high boots looking fierce! Snoop Dogg's son, Corde Broadus, pays homage to his famous dad with a graphic t-shirt emblazened with his likeness. 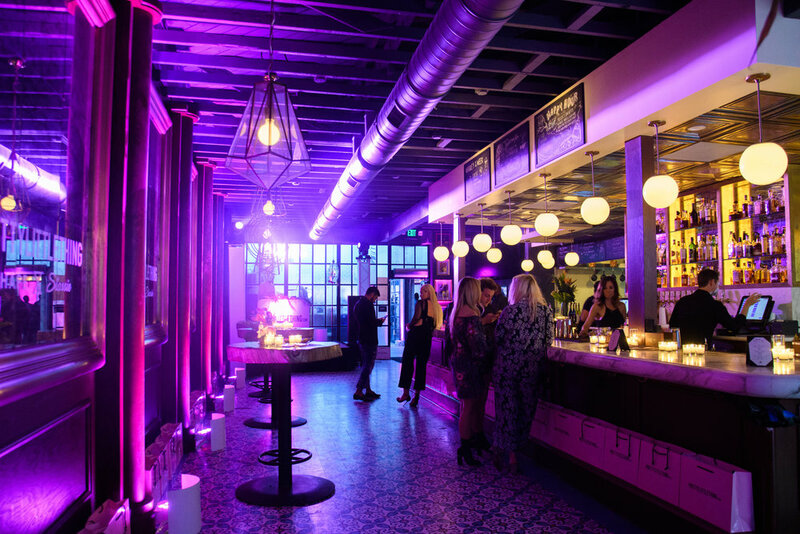 Some celebs in attendance were, Symon, Zuri Hall, Mila J, Lilimar Hernandez, Lucien Laviscount, Melea Rose, Larsen Thompson, Lucy Mecklenburgh, Nathalie Paris, Sofia Wylie, Erica Mena, Laura Dovan, Montana Tucker, Nicole Williams, Luna Blaise Boyd, & Twan Kuyper. Model Corinne Olympios is ready to party! Actress and singer, Christina Milian, was back to celebrate with the PLT crew for this special launch. WOTP crew decked out in the custom PLT jackets. Our husband and wife power team, Herick of The Happen Booth and Loriann of Wife of the Party can't wait for the arrival of their 4th baby girl! Stassie had a great time watching Travis Scott perform. Travis Scott doing what he loves singig and getting the party tunred up! 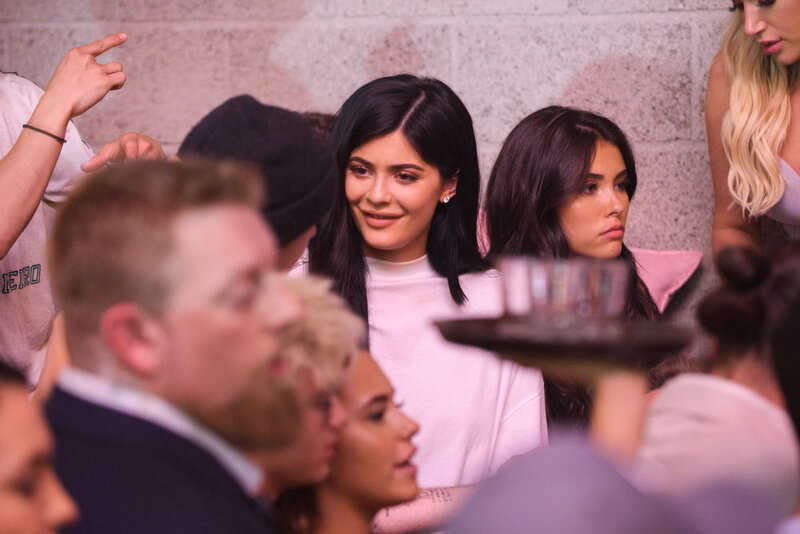 Kylie looking happy talking with a guest and hanging with her girls, Stassie and Madison Beer. 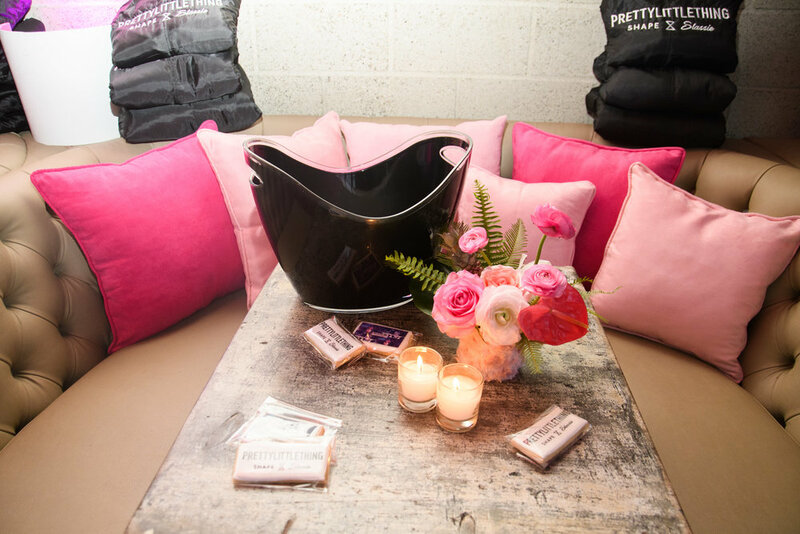 April Love Pro Makeup Academy set up a Sugar Lip Station which was a huge hit with the guests. Who doesn't want kissasble sugar lips?! DJ Casanova having a blast in his booth, Umar gettind down, and happy party goers dancing all night...PrettyLittleThing New PLT Shape Collection with Stassie Celebrity Launch Party was a huge success! What to read more about the party? Check out who's talking about it!